You all know I’m cheap. Or I guess “thrifty” would be the trendier thing to say. But when you have people coming over for holiday dinners, whether Thanksgiving, Christmas, Easter or whatever, you need pretty plates and you don’t want to spend an arm and a leg for them. 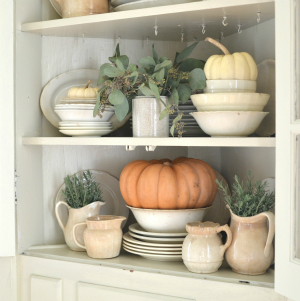 So I thought I’d give you my suggestions for ways to find holiday dinnerware on the CHEAP. 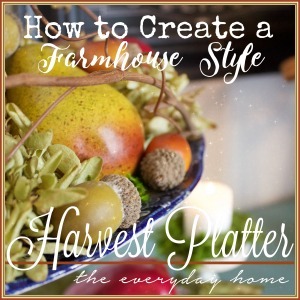 Oh and before I forget, this post is part of our Farmhouse Friday series, so down there at the bottom you will find links to the other blogger’s posts! 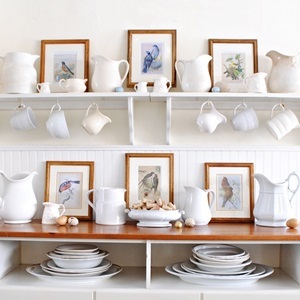 I felt I needed to start off with this, but when it comes to finding inexpensive dinnerware for your holiday get-togethers, there are so many more ways to go than the formal china of days gone by. I mean, when was the last time you actually had a meal on your wedding china? Mine is hanging out in my corner cupboard in the dining room and hasn’t moved in years. It was EXACTLY what I wanted when I got married 20 odd years ago, but now it just seems too formal for my tastes. See, I had to put a dog beside it to dress it down. But if you have it and like it and want to use it, I’m not here to judge. Oh, and in case you’re wondering if I’ve gone nuts, it makes the “inexpensive” list because people bought it for you as gifts, you didn’t buy it yourself. See, there is a method to my madness. Nowadays, I am much more apt to use a piece of ironstone matched with some olded china. This is my MIL’s china from the 50’s matched with a thrifted ironstone platter. The formality of the china salad plate vs the casualness of the ironstone works well together and has an eclectic farmhouse feel to it. 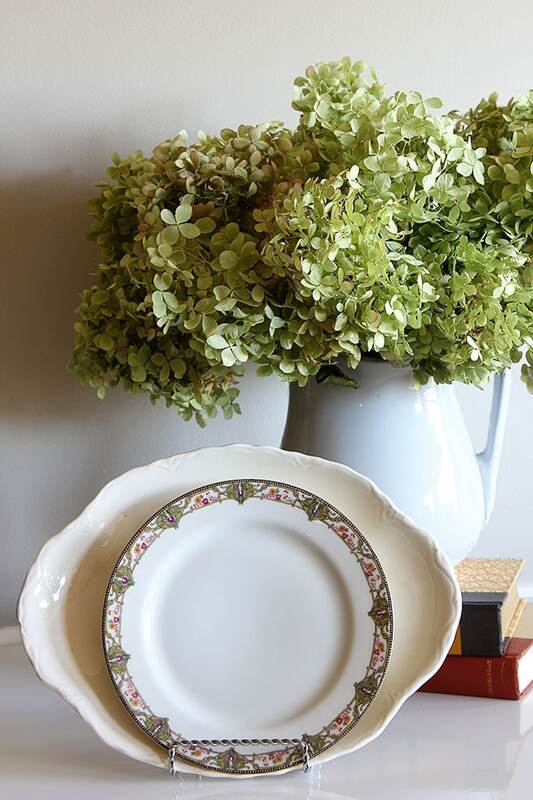 Another way to go is to use family heirlooms, like this set of my mother’s Currier & Ives dinnerware by Royal China, which was given as a premium at A&P stores. As far as I can tell you got certain pieces for free when you were grocery shopping and then you could buy additional serving pieces. And it means so much to me because it’s what we always ate our holiday meals on! It’s not fine china by any means, but you see it ALL THE TIME at antique malls and thrift stores. 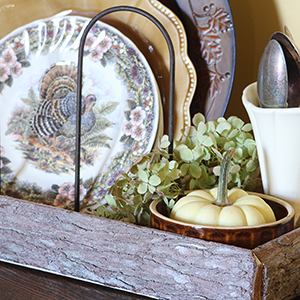 A fun way to build up your holiday dinnerware is to find items at the thrift store. A funky dog plate here. A set of more modern ironstone there. It’s as formal or non-formal as what you can find. Just today, while getting in trouble at the thrift stores, I saw 4 sets of china just waiting for someone to nab them up. I don’t think any of them were a whole set, but they were cheap and ripe for matching with other pieces. BTW, old china is normally smaller than today’s humongo dinner plates, so an old dinner plate can sometimes fit on top of a more modern plate to give you more bang for your buck. The Queen’s Myott turkey plates were found at HomeGoods a few years ago and the brown plate is part of the Pioneer Woman’s dinnerware collection at Walmart. The wood-look chargers were bought on clearance from Walmart a few years ago (they sell something very similar this year too). 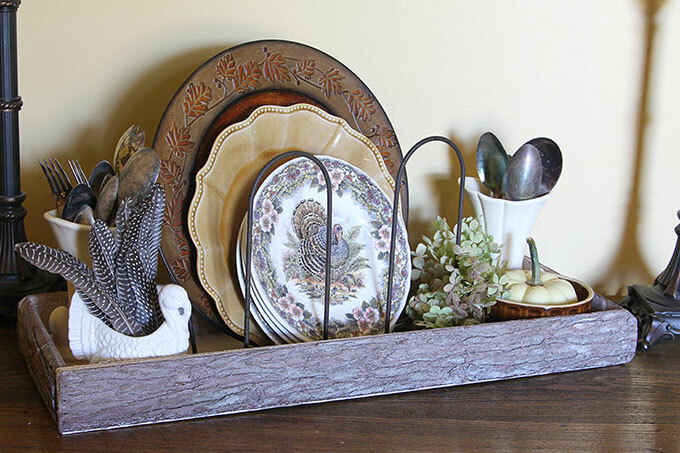 They were all very reasonably priced and I like the Thanksgiving Day look of them all mixed together. Those are some of my ideas for finding inexpensive dinnerware, what ideas do you have? Do you still use your more formal china for the holidays? Or have you gone more casual in your place settings? Melissa! I hope your wedding went off without a hitch (unless you meant to use a hitch to get hitched, that is!). Aren’t you still on your honey moon or in wedded bliss??? How can you be surfing the web and commenting so soon after your wedding? Best wishes to you and your new spouse! I like the idea of mixing, not matching. I have two sets of china that we basically never use. Maybe this is the holiday season I pull it out and we actually eat on it! My grandfather worked at Royal until they closed in 1986. We always ate our holiday dinners on Currier and Ives too! All great tips Pam! I am trying to resist purchasing more Christmas dinnerware. My wedding China was an heirloom set that my grandmother brought over on the boat as a war bride. Can’t even tell you where it is!! I use Johnson Brothers Friendly Village for the holidays. I’ve collected pieces as I’ve found them at yard sales and flea markets. Pam, I love your dishes! I’ve been so tempted to buy turkey plates for Thanksgiving this year. 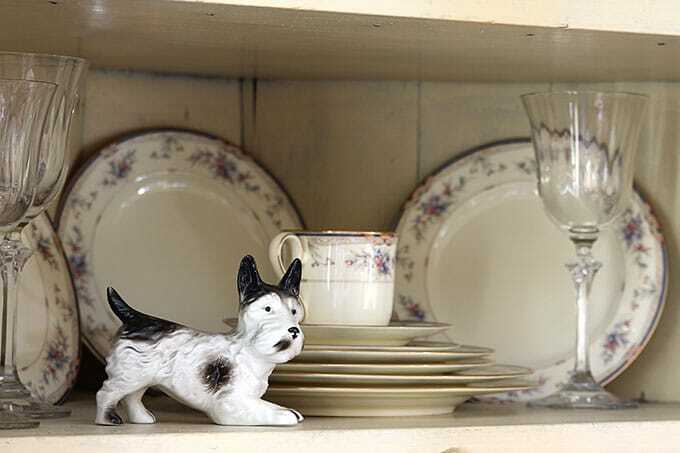 Love that little doggie plate!! I like your ideas and collections. We had the big wedding, 23 years ago, but I didn’t sign up for china. I do have a pretty china set that my sister gave to me. It was included with a mission style buffet and dining set I scored for her off the local online classifieds a few years ago. She had her mil’s so I scored the free set. Funny enough I have not used it. We have large groups for dinners and only occasionally can squeeze around two tables. I bought 24 caterer’s dinner plates in plain white from HomeSense and also have 4 sets (16) of plain white inexpensive china from the grocery store. Works great for buffets and I can also mix in more colourful pieces. Love the idea of the caterer’s dinner plates. Everything goes with white! 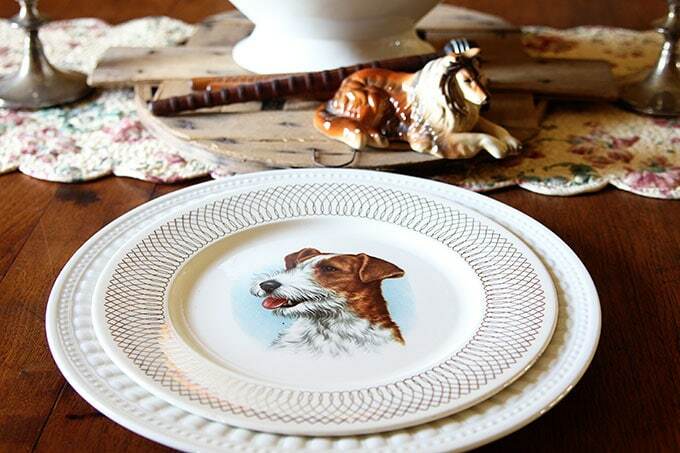 I love the sweet old plate with the dog illustration, Pam! And you’ve filled your wood box with such autumn loveliness. My mother and grandmother never owned china, and neither do I. 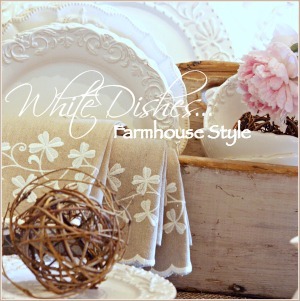 My wedding dishes were brown stoneware (not at all attractive to me now, and long gone) and my good dishes and everyday dishes are plain white. After reading your post, I’ve come up with a solution if I haven’t made enough food for a holiday. 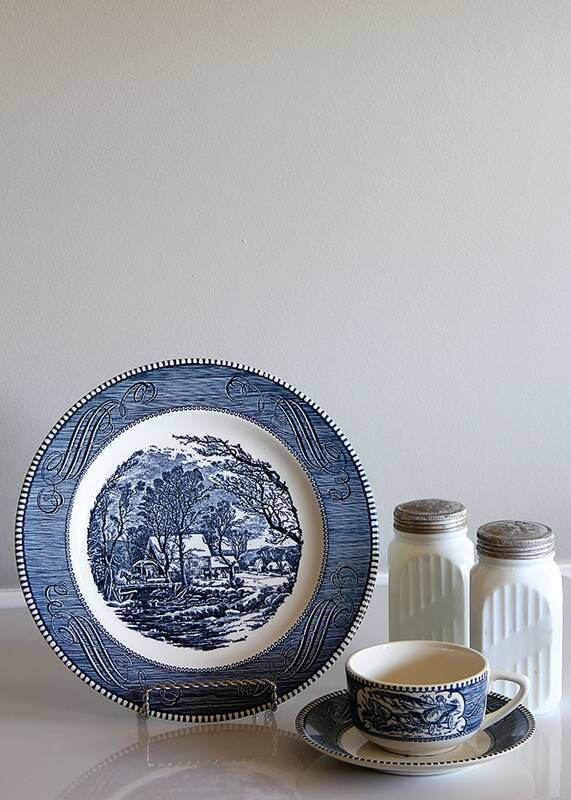 I’ll serve dinner on my smaller vintage Blue Willow plates. Genius, Pam! I may be sorry eventually, but I sold my “good China” at a yard sale. Now I mix some plain white dishes with my Fiesta colorfuls and other dishes I just enjoy using. I like your combination of the brown “Pioneer Woman” the turkey plate and the brown charger. 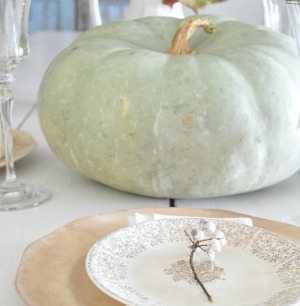 It is very festive for Thanksgiving/fall and can look very sophisticated! You’ve got good taste.